This is a really well-crafted talk on creativity. In it, John Cleese cites academic research and his own personal experience to illustrate some very practical advice on how to become more creative. I've been working recently on creating my own space/time oasis inspired by these ideas. To pay back a little I'd like to offer my notes as a quick-reference guide. I do this sometimes - it will give you a refresher on the talk without having to dive into a full transcript. Enjoy. Eyeo is a very different type of conference. 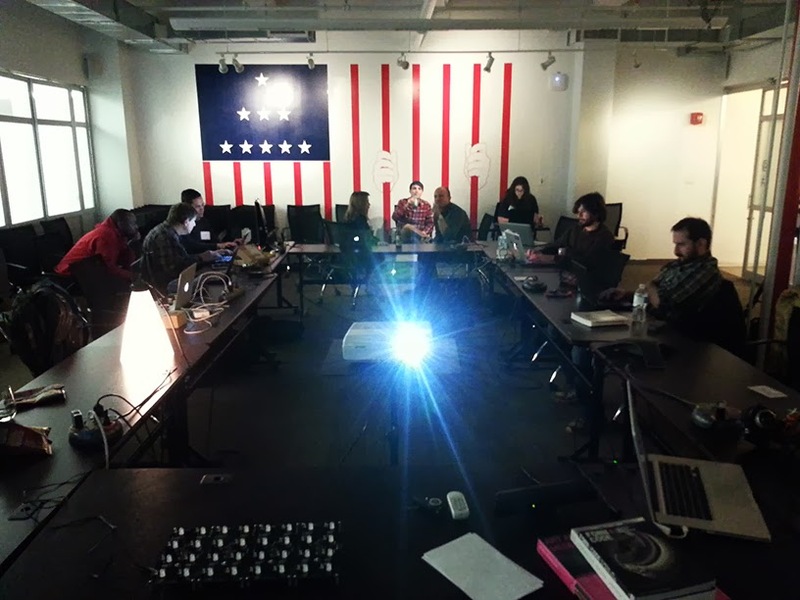 From the ground up it's an energetic community of creative technologists of different stripes. There was a lot that went on that was great. I want to take a minute to draw out a few themes. My co-founder Kent Rahman and I kicked off the Hardware Hack Lab about six months ago now - and the energy just keeps building and building. Those of us running the lab take our inspiration not from technology but from people and interactions. We believe that innovations gain most of their richness and momentum from the cultural context of their creation. Over the course of an hour at ThoughtWorks last week Ken Perlin described a vision for the future of immersive human interaction. It was rich and varied subject matter, and it drew a line from Ken's early inspirations right through current research and beyond. With just two weeks to go, OpenBCI is closing in on it's $100,000 Kickstarter target. They've been featured in Forbes, Fast Company, CNet, and ofcourse the ultimate accolade - they've worked with us over at Hardware Hack Lab! In what ways can a human body control continuously-generated synthetic sound? That's the question that drove Alex Hornbake and I to create Sound Chamber, an exploratory audio-visual installation presented at ThoughtWorks New York in 2013. This project was one of the outcomes of Hardware Hack Lab, a co-working space for technologists and artists run every Wednesday here in New York. 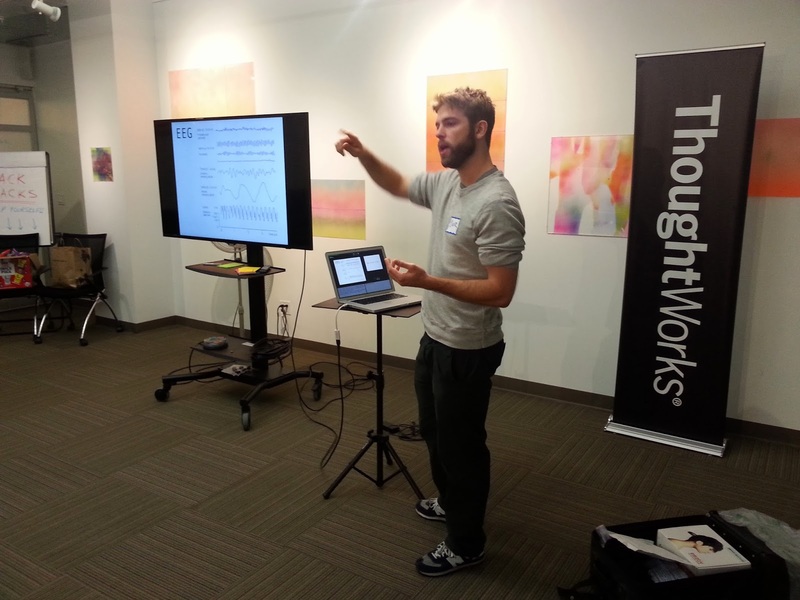 This weekend we held the first OpenBCI (Brain Computer Interface) hackathon at ThoughtWorks. We went from Saturday morning to Sunday night working on challenges of design, community, hardware and software. We have been working with the OpenBCI guys since they started attending our weekly Hardware Hack Lab, also out of the ThoughtWorks New York office.